Learning a new language and going for a self-care retreat are the top travel experiences on both female and male travelers’ bucket lists for 2019, according to research across seven markets by Agoda, one of the world’s fastest growing online travel agents (OTA). This is followed by learning a new cuisine and trying a new sport in third place for women and men respectively. Notably, while experiences like watching or joining a sporting event and digital detox are not a top priority for most markets, digital detox ranked second in Japan, with 18% of travelers choosing it as their top 2019 bucket list experience, after self-care retreat (38%). Nearly a third of Australians opted for none of the specified experiences in the survey, but instead cited other experiences such as traveling with family and taking a cruise. Travelers, especially younger ones, are looking to learn a new language in 2019. 44% of travelers ages 18-39 are prioritizing this experience in 2019. Interestingly, nearly an equal percentage of male and female respondents listed it as one of their top choices. Learning a new language is a great way to expand your horizons, get to know people and understand a new culture. Whether you are an aspiring polyglot or looking to pick up basic language skills to be a savvier traveler, here are some tips and destinations to inspire you. One of the best ways to learn a language is to live around locals and practice in a natural environment. 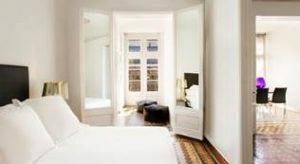 Stay in an Agoda Home like the Barcelona Apartment Val, where you can interact with neighbors and local business owners in Spanish. The apartment also comes with convenient access to the city’s main tourist attractions. Interested in contributing to a good cause while learning a new language in an immersive environment? Sign up as a volunteer at a St. Petersburg hospital in Russia where you can work with hospital staff while participating in an intensive language program between four to 16 weeks. For a longer stay, consider an affordable apartment like Ye’s Domotielli Apartamienty, which is equipped with kitchen facilities and is located near public transportation. Cooking can be therapeutic and learning to cook local food can be a good way to experience the culture of a city. Across markets, 13% of respondents chose learning to prepare a new cuisine as the number one choice for their 2019 travels. Sign up for a cooking class at the start of your trip and you’ll be able to better appreciate the local gastronomy during the rest of your stay. With some of the best culinary institutes like Le Cordon Bleu in the City of Lights, you’ll not only be able to learn a new dish, but be exposed to cooking in a professional kitchen environment – like a real chef! Practice the new recipes in your repertoire at this cosy apartment with its bright, open concept kitchen that’s sure to make you feel at home. If you enjoy a mean margarita to go with your tacos, why not try your hand at mixing Mexico’s national drink at a food and cocktail workshop? Carry on the cocktail party and stay at Casa Colima in the La Condesa neighborhood, where restaurants and bars are aplenty. In Japan, taking a self-care retreat was cited as their top travel bucket list experience, and was the top choice for almost 50% of Japanese female respondents. Prioritizing wellness and self-care on a vacation can be rejuvenating for both the mind and the body. From meditation retreats, yoga courses to spa holidays, there is plenty for the global traveler to do to revitalize their soul. Bali is not just a place to escape to for postcard-worthy beaches. With wellness resorts like Revivo springing up, one can switch off and indulge in wholesome cuisine, seek spa and holistic medicine treatments and even practice restorative fitness like Qi Gong and Aerial Yoga, all in one place. Hepburn Springs is a resort town in Victoria with the largest concentration of mineral springs in Australia. Rejuvenate in these natural waters at the iconic Hepburn Bathhouse and stay close by at Saltus in Spring, where you can also pamper yourself with a luxurious day spa treatment. While technology is a savior in many ways, in today’s always-on world, vacations also provide the perfect opportunity to disconnect and take a much-needed break. In Japan, 41% of travelers above 50 years old ranked digital detox as their top travel bucket list experience for 2019. Center your thoughts and focus at a private retreat at the Kopan Monastery overnight, where you will be asked to check in your electronic devices at the reception desk. After your retreat, continue the digital detox at the Kantipur Temple House, a beautiful eco-hotel with a classic, traditional Nepalese décor, situated in a quiet alley near Kathmandu’s historical sights. 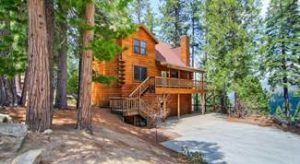 The captivating beauty of Yosemite’s valleys, mountains and wildlife is a good reason to put away your phone and breathe in the wonder of nature. Pick a lodge like Yosemite Scenic Wonders where you can lounge on the patio and enjoy the view of the tranquil Yosemite wilderness. While sports and adventure didn’t feature in the top three bucket list experiences across markets, those under 40, particularly in countries such as Australia, Philippines, China, Kingdom of Saudi Arabia and the UAE favor trying a new sport such as skiing, hiking and kayaking. Learning a new sport can be not only fun, but a great physical and mental challenge. Individual sports like skiing and cycling are great activities travelers can enjoy on vacation. 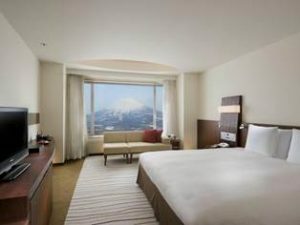 With a base like Hilton Niseko Village, you can not only explore the city but easily access ski resorts where you can take ski and snowboarding courses. Be sure to pick a class that’s suitable for beginners if you’re just starting out! Cycling from place to place is a great way to explore the hidden nooks of a city at your own pace. Pedal downhill through the “Heaven’s Pass” and cycle through villages and breathtaking scenery before ending your bike tour in the town of Dalat, also known as Le Petit Paris, in southern Vietnam’s central highlands. Continue enjoying the mountain views while resting those tired feet at Ana Mandara Villas Dalat Resort & Spa, designed by French Settlers in the 1920s. There is nothing quite like the way a stadium full of screaming sports fans from around the world unite in support of their favorite player or team. Across the markets surveyed, 10% of males are prioritizing watching or joining in a sporting event during their travel in 2019. Take your sporting obsession to the next level by heading to watch the best-of-the-best compete for coveted international titles. The rugby union tournament takes place once every four years and will be held for the first time in Japan and Asia. The matches will take places across 12 stadiums in Japan including Sapporo, Fukuoka and Kobe. Experience an authentic ryokan stay at Kitaya Ryokan in the heart of Yokohama and skip on over to the Yokohama Stadium for the final matches. Catch the French Open at the largest clay court of the famous Roland Garros Stadium in Paris and extend your trip to enjoy the City of Lights in summer. Stay along the renowned Champs Elysées in the stylish The West End Hotel and easily access nearby museums, cultural spots and haute couture boutiques.